THREE Bulawayo men who were part of a gang of hooligans that looted and burnt shops during last week's violent protests, were yesterday sentenced to a combined seven years in jail. 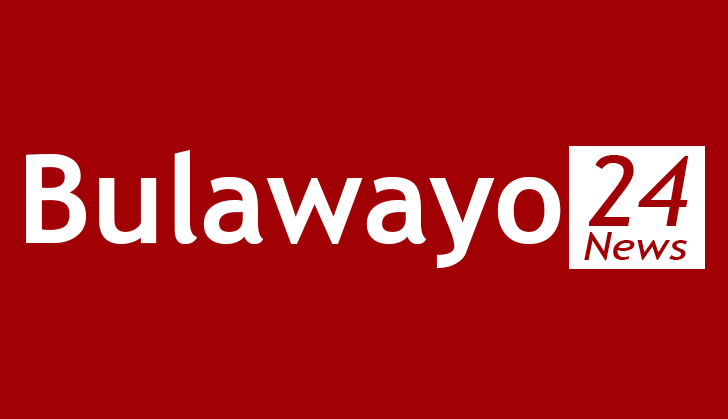 Liberty Moyo (28), Clarence Mudavanhu (34) and Witness Ndlovu (42) appeared separately before Bulawayo regional magistrates Mr Trynos Utawashe and Mr Chrispen Mberewere facing public violence and theft charges. Moyo and Mudavanhu were convicted of public violence and theft by Mr Utawashe while Ndlovu was convicted of theft by Mr Mberewere. Moyo and Mudavanhu were sentenced to an effective two years in jail each after one year from their sentences was suspended for five years on condition that they do not within that period commit similar offences. Ndlovu was sentenced to 12 months of which six months were conditionally suspended for five years. Moyo and Mudavanhu were part of a mob that engaged in running battles with anti-riot police during violent protests. They also broke into a shop in Nketa 6 suburb and looted goods. Ndlovu was among a group of protesters who invaded TM Pick n Pay Supermarket in Cowdray Park and looted groceries. In passing the sentence, Mr Utawashe condemned the actions of the accused persons, saying Zimbabwe is a peaceful country. He said those involved in violence and lawlessness should be incarcerated. "The accused persons engaged in acts of violence and they deserve a custodial sentence. Zimbabwe is a peaceful country where violence should not be condoned. Lawlessness will not be tolerated. It is therefore the duty of courts to ensure that peace and tranquility prevail in the country through sending perpetrators of violence to jail," ruled the magistrate. Prosecutors said on January 15 at around midday, Moyo and Mudavanhu were part of a mob which went to China Shop in Nketa 6 suburb where they engaged in violent skirmishes with police who were trying to maintain law and order during the violent protests. After outnumbering law enforcements agents, the accused persons broke into China Shop. They stole an assortment of grocery items. They proceeded to a pharmacy in the same suburb and broke into the premises and stole drugs. On the same day, Ndlovu who was also among a group of looters went to Cowdray Park TM Pick n Pay and stole groceries. "During the violent demonstration the mob destroyed the entrance to the shops and gained entry before looting groceries," said prosecutors. The accused persons were arrested on January 20 after police received a tip off from members of the public leading to the recovery of some of the stolen items. They were found with all the stolen groceries at their places of residence. Police quizzed the accused persons and they failed to account for the groceries. Meanwhile, 12 suspects who were part of a group that allegedly went to the Tshabalala house of Zanu-PF Bulawayo provincial women's league chairperson Eva Bitu and burnt three cars and destroyed the precast wall and broke windows, appeared in court yesterday. Esther Mbewe (53), Fortune Masuku (29), Melusi Moyo (32), Josphat Ngulube (34), Marshal Mpofu (37), Lavenda Moyo (66), Thabisani Ngwenya (32), Otilia Sibanda (34) Angeline Mwemba (41), Minenhle Mahlangu (28), Mwale Chifufu (34) and Duduzile Amisi (39) appeared before Bulawayo magistrate Mr Franklin Mkhwananzi facing public violence charges. They were remanded in custody to January 28. Prosecuting, Ms Grace Zhou said on January 14 at around 7AM, the accused persons, acting in concert with 100 others unlawfully blocked free movement of traffic at an intersection along Sizinda road and Nketa Drive. They allegedly engaged in acts of violence. They went to Bitu's residence and threw stones and destroyed a precast wall to access the yard. They destroyed windows before torching her three cars, a Ford Ranger, Nissan NP 300 and a Toyota Vitz. "They also damaged roofing sheets and the complainant managed to escape uninjured together with her family," said Ms Zhou. The court heard that the accused persons proceeded to Tshabalala Housing Office and clinic where they allegedly stoned the buildings.